#84 Looking into the back. 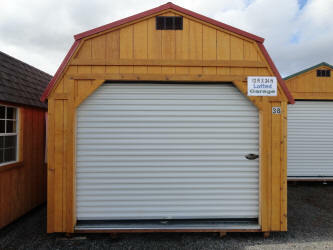 The Lofted Barn Garage comes in 12' and 14' widths. 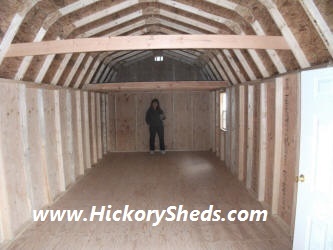 The Lofted Barn Garage features 12" on center floor joists, 1-overhead loft, a roll up garage door, one metal walk-in door, and one 2' x 3' window. Inside wall height is 6' 3", 7 foot is optional.